Barack H. Obama Elementary School of Technology hosts “Launching of the Beautification” ceremony. Gratitude. Beauty. Good stewardship. All were in great abundance on April 12, 2017 at the Barack H. Obama Elementary Magnet School of Technology. Amidst blue skies and singing birds, the students, staff, faculty, community volunteers, and business sponsors of the school’s “Beautification Club” gathered to celebrate the launch of this hands-on, proactive organization. 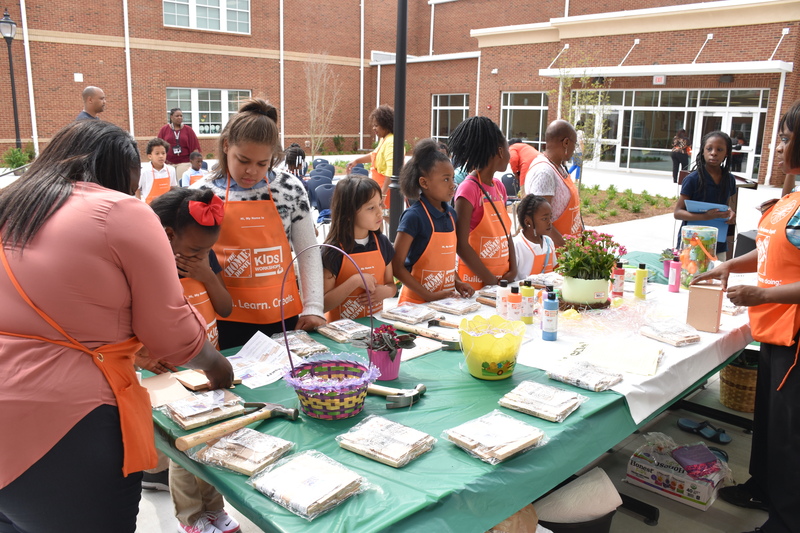 As students participated in an arts and craft Easter-basket-building project, attendees admired floral plantings and hardscape décor supplied by club partners and event sponsors Home Depot, Ace Hardware, and Kroger. “The mission of the Beautification Committee is to create a safe and attractive learning environment for our students, and to educate and engage students in beautification projects and clean-up activities to make sure that our school stays beautiful,” noted Mayfield.